While we eagerly await the Bentayga, Bentley’s intriguing venture into the luxury SUV market, there’s already speculation about what’s next for the British automaker. Speaking to Autocar, Bentley head Wolfgang Durheimer confirmed that the next step would either move the company deeper into SUV territory, or it would get to work on a sports car. “We can’t do both those cars at the same time, because Bentley is still a small company and our resources are very stretched. We are doing the studies for both those models and then we will decide on the fifth model,” Durheimer said. Any future sports car would most likely be based on the EXP10 Speed 6 concept that Bentley revealed at this year’s Geneva motor show. The sporty two-seater received heaps of praise from onlookers who admired both the look and the departure from Bentley’s luxurious, yet conservative offerings. “We have asked our customers and they have said about the Speed 6, ‘just build it!,'” added Durheimer. As for a smaller SUV, we’re still waiting on how well the full-sized one is received, as well as its final design. Bentley has high hopes that the Bentayga will substantially increase sales due to how lucrative the luxury SUV market has been for competitors, as well as sister brands also under the VW Group umbrella. Like the current Audi Q7, the Bentayga is expected to be built on the MLB platform, a long, modular base used for vehicle construction across the global auto brands. Based on that, we can surmise that a smaller Bentley SUV/CUV could derive from the A5 platform used by the Volkswagen Passat ant Tiguan, or even the smaller MQB modular platform. Considering how utility vehicle sales drastically eclipse that of sports cars, we can hope for the Speed 6, but the smart money would be betting on the Bentley crossover. 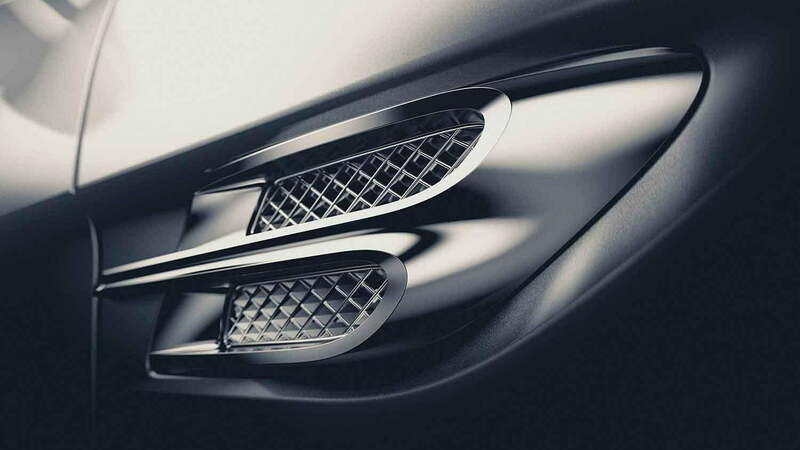 Until then we’ll see what the Bentayga brings to the table when it goes into production late this year.